London-based digital designer Jack Hughes has created a visually mesmerizing project, The Colour Clock, as a way to represent time as a hexadecimal color value. With one click, the clock with ever-changing colors, goes from telling time to showing its corresponding hexadecimal color value. 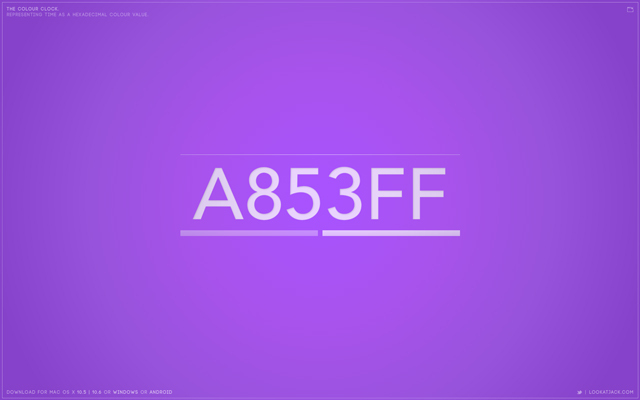 Hexadecimal colors are the six-digit codes used in web design to represent colors. Mac/PC and Android phone screensaver versions of The Colour Clock are available for download.